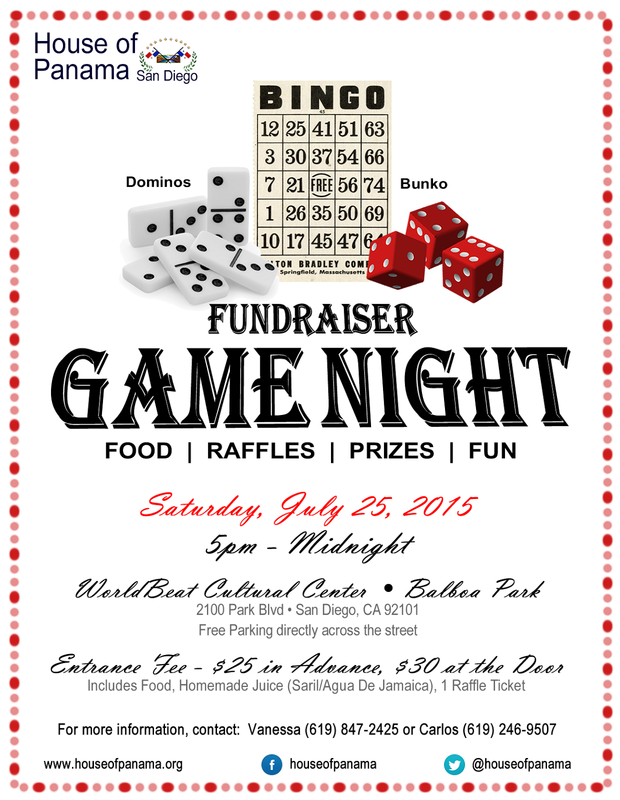 Please come show your support, play some new or old games (Dominoes, Bunko & Bingo) or just come out and socialize meet & greet new/old friends, eat, drink & have fun it's all for a good cause, to help build our International Cottage/Museum in Balboa Park. You will receive free food, homemade soft drink, 1 raffle ticket & prizes for the game winners. Mixed drinks and more raffle tickets will be available for purchase.